We thought it might be an appropriate time to tell you about how incorporating Pro-Dosa BOOST into your final stages of preparation could benefit your horse when training, travelling and racing. Pro-Dosa BOOST contains vitamins, minerals and amino acids in balanced proportions to replace those essential nutrients loss during exercise and when under stress. 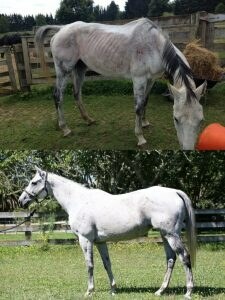 Horses under stress (through hard work, travel and racing etc.) have increased requirements for a broad complex of nutrients necessary to support metabolism, health, performance, and recovery. Unfortunately, when horses are under stress, they tend to go off their feed, resulting in reduced intake of essential nutrients just at the time they need more. Horses have significantly increased requirements for B-vitamins at these times, and Pro-Dosa BOOST contains all of them in doses that are properly balanced with each other and with all of the other nutrients required for their absorption and function. B group vitamins play an important role in coat and skin condition, energy production (so tired or lethargic horses may get a lift), nerve cell function (so nervous horses may be better able to relax and focus), and red blood cell production. Most importantly, when horses are transported and then tabled in a new environment, they help to maintain normal appetite! Pro-Dosa BOOST contains a sizable dose of Vitamin C which supports immune function and helps to protect muscle cells from oxidative damage that occurs in transport and training. (Did you know that oxidative muscle cell damage can occur in as little as one hour, as the horse works to keep itself balanced during transportation)? Horses will arrive at their destination in the best possible condition if given one full tube of Pro-Dosa BOOST a couple of hours prior to loading them on the float each day. If you are leaving early in the morning, it can be given the night before instead. If you have a nervous horse that does not settle into its new environment, try giving it half to one full tube of Pro-Dosa BOOST each day. It contains as much Magnesium and Thiamine as many calming products, and these nutrients actually work better when given in combination with each other and with the amino acids, Tryptophan and Tyrosine, than when administered separately. Pro-Dosa BOOST contains a broad range of electrolytes including calcium, magnesium, and phosphorus, as well as sodium, potassium, and chloride. These will help maintain normal hydration and the electrolyte balance necessary for muscle cell, cardiac, and nerve function. Once horses are dehydrated, however, electrolytes will fail to stimulate thirst. When that occurs, unassembled amino acids stimulate thirst more effectively. Pro-Dosa BOOST contains 22 unassembled, rapidly-absorbable amino acids in the optimal ratios required for protein synthesis and muscle development. Muscle cells take up amino acids most efficiently for about an hour following hard work. Providing a full tube of Pro-Dosa BOOST as quickly as possible after the last hit out prior to racing will aid muscle cell repair and recovery, ensuring horses will be in top condition on race day. 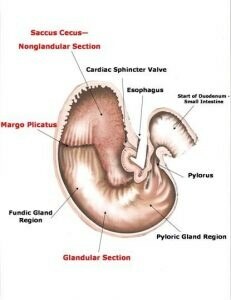 A full or a half tube fed regularly after each fast work can help your horse to recover well, maintain normal body condition, and perform consistently over the long racing season ahead. 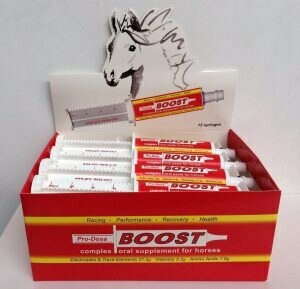 When race day comes around, give one full tube of Pro-Dosa BOOST on the tongue the night before or mix it in with feed. We wish you the very best of luck over this fantastic racing carnival. if you require any further information. Contact the team at Pro-Dosa International.